Oncology, immuno-oncology and systemic diseases such as cardiovascular, respiratory, metabolic and autoimmune conditions are areas of therapeutic development that require advanced immunology understanding and immune based solutions. 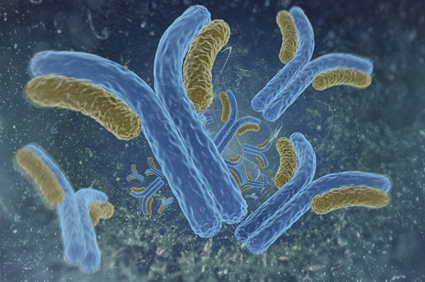 Immundnz is an immunology lab with boutique consultancy services and in depth knowledge in immune mechanisms and protein biology to provide you with the solutions you need for making better decisions on therapeutic efficacy or safety at preclinical stage. A CRO with a Difference…. Immundnz is an immunology CRO specialised in immune modelling, immune response and tissue damage analysis, in vivo and in vitro cell culture systems for preclinical drug research and development. We are experienced scientists who will design an experimental model and use customised assays as well as standard assays tailored for the right solution for your problem. We will develop novel assays in our laboratory to meet your specific and unconventional need. if a drug might generate an unwanted (adverse) immune response. Contact us for more information or READ MORE Immune Modelling. Acquiring critical information on the immunogenic property of a drug prior to clinical trials could be pivotal in avoiding patient risks and attrition due to costly drug failure. We bring a comprehensive meaning to immunogenicity and an innovative method of assessing immunologic risk. We emphasise on the analysis of drug-induced tissue damage. 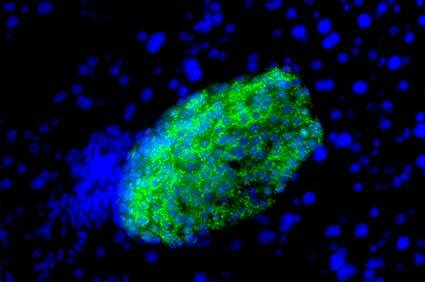 Immune response that may be generated from such damage could lead to serious drug adversity. We use an in vitro human platform for immune response (adaptive) studies. 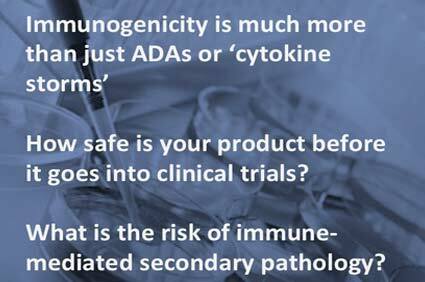 Contact us for more information or READ MORE Immunogenicity. To support preclinical research and analysis we provide various immunologic, protein based and bioanalytical assays using cell lines and primary cells. 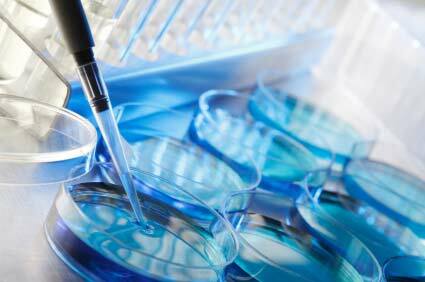 These are provided either as standard assays or as custom designed assays. The use of cell lines in initial studies offers the advantage of minimal variability. Through our assays we will help you to study drug impact on protein expression, cell to cell interaction, migration, proliferation, cell death and cytotoxicity, functional assays using gene knockdown, lymphocyte functions, cytokine expressions, etc. Contact us for more information or READ MORE Assays – Immune & Protein Based. We are highly experienced in mammalian and human cell cultures and offer cell culture preparation, growth and analysis to fit your needs in drug development and characterisation. We develop 2D cell cultures as well as 3D tissue models such as organoids and 3D microfluidic culture plates. We will help you study the behaviour of drug compounds in human in vitro systems for a translational purpose through a service portfolio consisting of various techniques and methods. Immunologic assays, cellular and molecular assays, flow cytometry, histology, microscopy and mass spectrometry are amongst our core technologies. With these techniques we contribute to innovative drug development, diagnostics and life sciences research. Contact us for more information or READ MORE In Vitro Human Systems.